Refinement Rather Than Revolution Before we get into the meat and potatoes of the 2014 Acura MDX, let's pause for just a moment and talk about the current, still-sitting-at-dealerships 2013 model. It's a pretty good machine. Perhaps guilty only of falling to the backburners of our minds in recent years because, well, the old girl's not gotten any younger. But every time we drove this second-generation MDX, our thoughts were the same - good to drive, pleasant to sit in and a pretty decent value. Acura's customers felt the same way, and so when it came time to design and engineer the third-generation MDX, the vehicle's formula wasn't shaken up at all. Despite the fact that it uses a brand-new platform and offers a host of upgrades, the key points addressed by the company's engineers were the specific requests of customers and shoppers in the segment - changes that amounted to nothing radical. After all, if it ain't broke, don't fix it. Succeeding at being evolutionary is often far better than trying to be revolutionary. That in mind, we traveled to Portland, OR to see if that formula works for this fully redesigned Acura MDX. 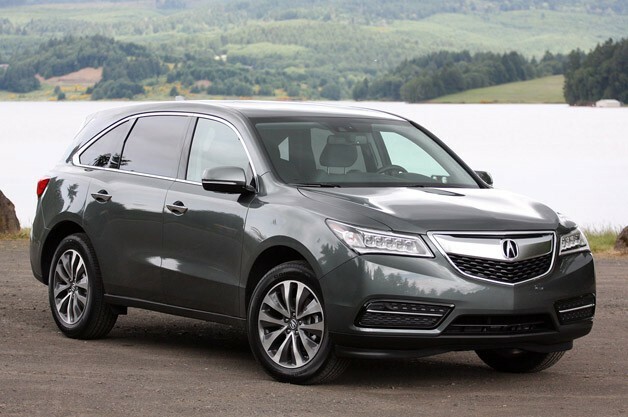 2014 Acura MDX [w/video] originally appeared on Autoblog on Fri, 31 May 2013 11:57:00 EST. Please see our terms for use of feeds.